NEW BRITAIN – Nobody likes a soggy kielbasa - The New Britain Bees’ Polish Heritage Night has been rescheduled due to rain. The New Britain Bees versus the Lancaster Barnstormers game and accompanying Polish Heritage Night and fireworks show originally slated for Saturday night was rained out. 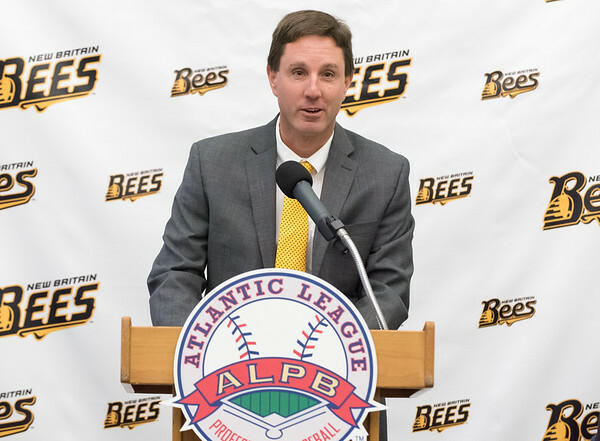 Brad Smith, general manager of the Bees, said that the rescheduled date hasn’t been figured out yet and that it will be announced at a later time. Posted in New Britain Herald, , General News, New Britain Bees, New Britain, New Britain on Saturday, 11 August 2018 17:36. Updated: Saturday, 11 August 2018 17:38.